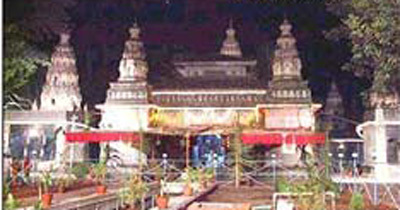 Ganapati temple is situated in Theur, at a distance of approximately 26 km from Pune. Counting amongst the eight Ashtavinayakas of Maharashtra, the temple dates back to the 17th century. It is dedicated to Lord Ganesha, a Hindu deity, and is said to be owned as well as controlled by Lord Ganesha Himself. 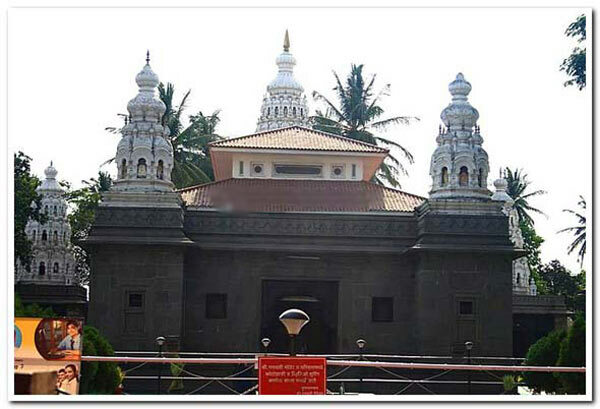 Pune Ganesha temple has an interesting legend associated with it. Read on further to explore the Ganapati Temple of Poona, India. 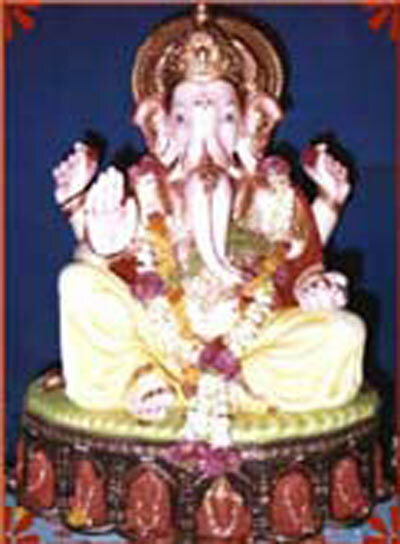 It is believed that during the phase of economic and political crisis in Pune city, Lord Ganesha acted as its protector. During that period, He appeared in the dream of a person and instructed him to unearth His idol from a particular place. 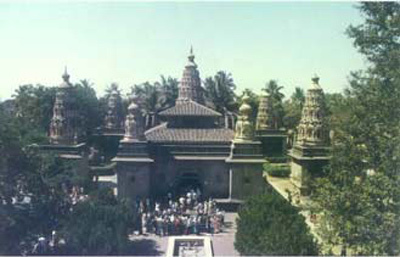 The Ganesha temple of Pune was later constructed, by the mother of Chatrapati Shivaji, at the same site where the idol was found. The Ganapati temple, located on the banks of river Krishna at Sangli, is one of the most beautiful temples in the southern region of Maharashtra, and is known for its rich design and marvelous architecture! The Ganapati temple of Pune is one of the marvels of Maharashtrian architecture. Ganapati Temple is regarded as the most beautiful temple in south Maharashtra. It is situated on the banks of river Krishna at Sangli. Thorle (elder) Chintamanrao Patwardhan consecrated the idol in 1843. The temple has been artistically built with black stone brought from Jyotibha hills. There is a platform, a hall and a 'Nagarkhana' inside the vast two acres complex of the temple. The entrance door has been carved out of different coloured natural wood. The idol of the Lord Ganapati is made of copper. The idol has been kept in a way that it is visible from any part of Ganapati Peth. It looks so beautiful when the silvery rays of evening sun brighten the face of the Ganapati idol Ganapati festival is celebrated with great religious fervour for five days from Bhadrapad Shuddha Chaturthi. The confluence of the rivers Krishna and Warana is at Haripur a small town near Sangli. A temple is situated on the banks of these two rivers. In the year 1768 Govind Hari Patwardhan made houses for the Brahmins, which is why the town is known as "Haripur" as a tribute to Hari Patwardhan. The waterfall is just 2 hours travel from Sangli by train or a car. The best time to visit this falls is between June to October as there is plenty of water. There is a swinging bridge on the waterfalls. Gokak Dam and the Hydroelectric Power plant are also worth watching. Sangli Fort is situated in the centre of Sangli City. 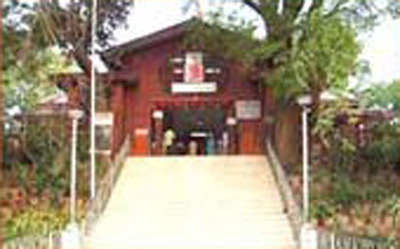 Inside the fort is the Collector's office, Revenue Office, a Marathi school " Purohit Girls High school" and a museum. Rajwada, the palace is also located inside the fort, and the museum is located in backside of the Rajwada. Just opposite to the fort is the present court of Sangli district. The Ganapati temple situated on banks of river Krishna at Sangli is most beautiful temple in south Maharashtra. It is a tutelar deity of Sangli. Thorle (elder) Chintamanrao Patwardhan consecrated the idol in 1843. This temple is very famous for its artistic construction. It is built out of black stone made available from the hills of Jyotiba. The temple has a large premise, covering a sprawling two acres. It comprises of a platform, an excellent hall and a "Nagarkhana". The door of the sanctum is carved out of different coloured natural wood. The temple is located on eastern bank of river Krishna. Mahabaleshwar, Queen of all Hill Stations, is situated at an altitude of 1372m in the heart of Sahyadri Hills in Satara District. The hill station has a legendary past. The name 'Mahabaleshwar' is derived from a temple of Lord Mahadev and three Sanskrit words, 'Maha' (great), 'Bal' (power) and 'Ishwar' (God). But, some say that the name 'Mahabaleshwar', which simply means very mighty God, seems to have a mythological past. Pratapgad Fort is one of the formidable mountain forts built by Shivaji, 24-km away from the famous hill-station Mahabaleshwar. The fort holds a commanding view of coastal Konkan. One can see the Raigadh fort from here. The Bhavani temple and Afzal Khan's Tomb are other places of interest. The Koyna dam is a big dam, built high in Satara district of the Sahyadris on one of the major tributaries of the Krishna, which is a "Major Irrigation Project'' in the terminology of the Indian Government. Its reservoir has a storage capacity of 98 TMC feet and the dam generates over 900 MW of electricity. Bahubali hill temples are located 27-km south of Kolhapur on Bahubali Hills. These hills are popularly known as "Kumbhojgiri". It is a popular site revered by both Hindus and Jains. A Celibacy Resort was established in 1935 and named after the sage Bahubali who mediated here about 300 years before. Mountains and thick forests surround the Chandoli region, which is about 65-km from Sangli. This is a famous spot for its scenic beauty and wild region also witnesses maximum rainfall.